Product prices and availability are accurate as of 2019-04-20 10:27:43 UTC and are subject to change. Any price and availability information displayed on http://www.amazon.com/ at the time of purchase will apply to the purchase of this product. Patrick Royâ€TMs NHL playing career spanned 20 seasons, but some of his most memorable moments came from the first ten years of his career in Montreal. While playing for the Canadiens, Roy was an integral part of the Stanley Cup Championship teams in 1986 and 1993. Roy established himself as one of the leagueâ€TMs top goalies and in 1992-93 season as he led the Montreal Canadiens to their 24th Stanley Cup. The NHLâ€TMs all-time winningest goaltender had his number retired by the Montreal Canadiens in 2008. He joined 14 other Canadiens legends that have had their numbers retired. Roy played his first game at the Forum on February 23, 1985 and he stopped the two shots he faced from the Winnipeg Jets. Roy was a First-Team All-Star four times and won the Vezina Trophy three times as a member of the Canadiens. A â€˜Tegataâ€TM is a traditional form of Japanese memorabilia that is reserved only for the most superior athletes. Joining the ranks of Michael Jordan, Wayne Gretzky, Tiger Woods and LeBron James this UDA exclusive Tegata utilizes handmade Japanese Hamada paper. Roy has inked his right hand in black and included an authentic Inkan stamp which aligns with the traditional craft. 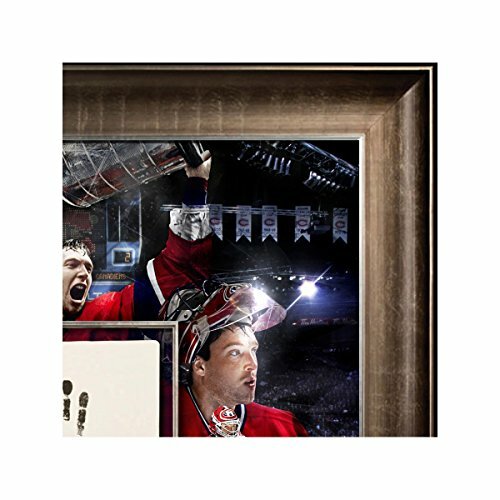 The overall keepsake, which measures 36â€ wide by 36â€ high, includes a 12â€ by 12â€ inset center upon which Royâ€TMs hand has been inked and is surrounded by a double-matted collage style background of Montreal Canadiens images. Roy performed the Tegata process with Upper Deck Authenticated officials and his autograph is guaranteed by virtue of Upper Deckâ€TMs Five-Step Authentication Process. 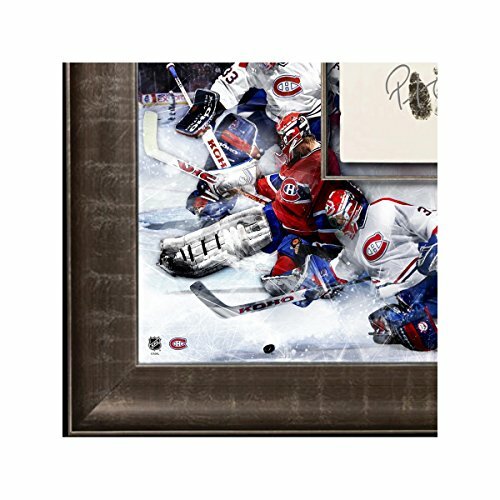 Autographed, Signed Authentic Sports Memorabilia sold by Game Day Legends For Limited Edition (LE) Items listed, you will receive a random number from the edition.